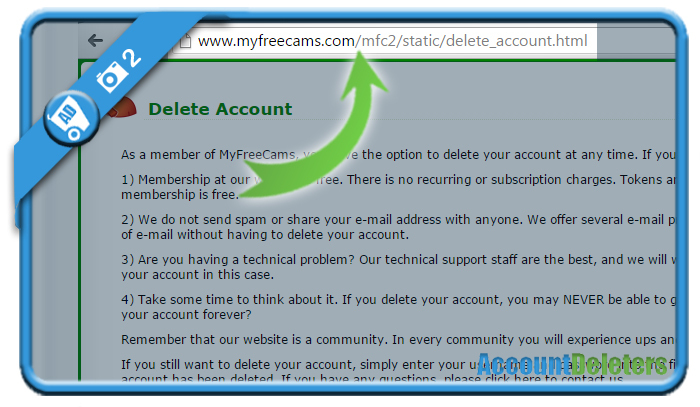 Myfreecams is a free live webcam website for adults. But if you have an account on their website that you’re not using anymore, you might be considering to close it. If that’s the case: Don’t look further, because I’m about to explain how you can do that with a special removal link. Because the delete button on the removal link (step 3) won’t work if you’re not logged in. Congratulations, your account has been successfully removed. As they indicate on their site, it may take up to 20 minutes for these changes to have be reflected.